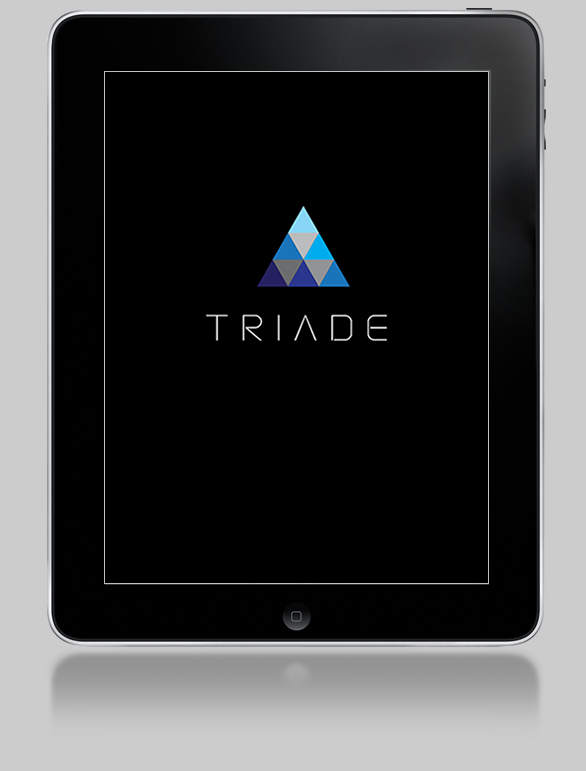 Triade is a fantastic drawing tool for the iPad and Android devices. 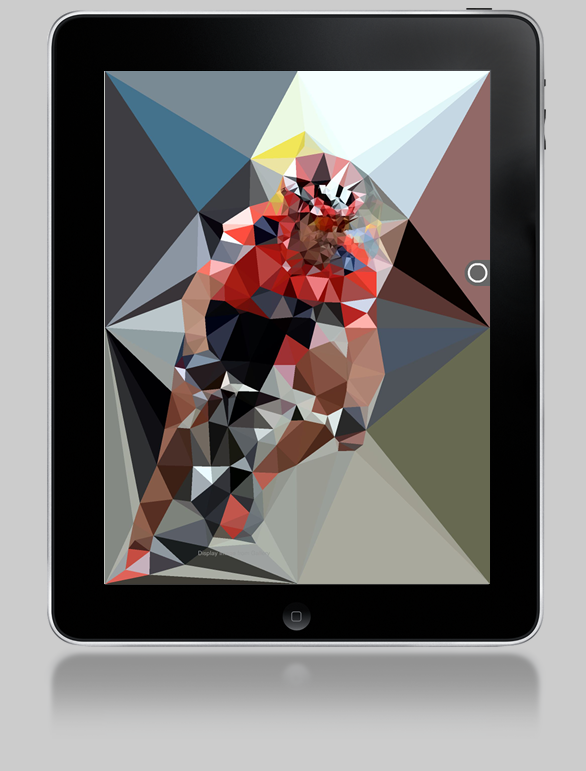 Triade lets you create amazing images made entirely from triangles. Ideal for creating unique portraits. 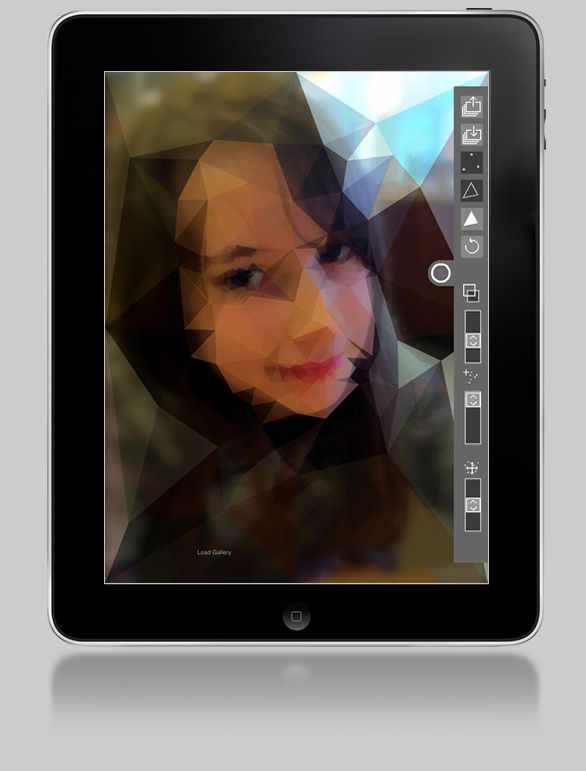 Triade is a drawing tool which uses a technique called Delaunay Triangulation to create an image composed purely or triangles, from a source image or photo. Load an image from the photo gallery and add control points to build up details. You control the amount of detail across your image. Set the display mode to display any combination of nodes, lines and colour fills. Adjust the transparency to change the amount of the underlying image you want to show through. Triade lets you add multiple points with one touch (up to 40) and define the spread of these points. This lets you quickly add detail in certain areas, such as around the eyes. Save to your Photo Library.